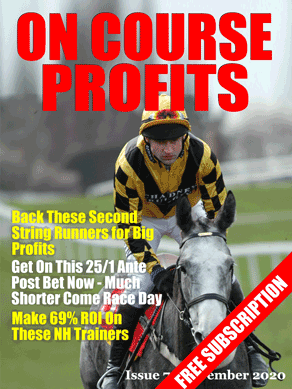 Did you sign up for the risk free no credit card 14 day trial of Trainer Quotes? If not you've missed out on some great winners over the last few days. On Friday they advised Brocklebank, whose recent form was not looking good. Brocklebank prevailed by a neck at 40/1. On the same day they highlighted Secret Asset who won at 20/1. On Sunday Sirop De Menthe romped home by 10 lengths at an SP of 14/1. To recap how this works, the Trainer Quotes team have arrangements with the following stables. Scott Dixon, Ed de Giles, Tim Vaughan, Gary Moore, Alan McCabe, Mick Appleby, Harry Dunlop, Lucinda Russell, Jamie Snowden, Simon Dow, Oliver Sherwood, Mark Loughnane, William Muir, Jane Chapple-Hyam, David C Griffiths and Gay Kelleway. When they have runners they tell Trainer Quotes how they feel about each runners chances and TQ then rate the horses based on form and other factors. There is no risk in trying this other than having to give up your contact details. If you missed it last time I mentioned it then go to Click Here for the extended 14 day trial.